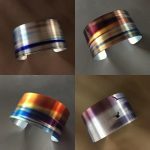 We are excited to introduce Tim Harper, a local San Francisco artist. 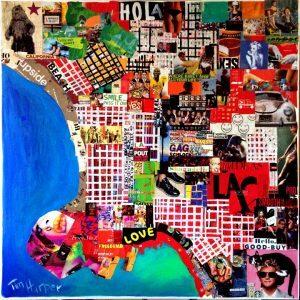 Tim Harper is a contemporary artist and community advocate living in the Cow Hollow District of San Francisco. Most of his work is heavily inspired by America’s foremost collagist, Romare Beardon, and the Los Angeles based modern artist, Mark Bradford. Although Tim’s love for art crosses many genres, his biggest style influences are fauvism and abstract modernism. Utilizing vivid color palettes, Tim’s paintings come alive with energy, interest and emotion. Tim also loves the written word and its ability to capture the essence of a painting, while framing a narrative, figuratively and symbolically. Tim studied painting at the University of Florida, the University of Hawaii, and at the San Francisco Art Institute. His work is regularly featured with the Bay Area artists exhibits that are sponsored by the San Francisco Museum of Modern Art, Artists Gallery. His Urban Distractions series, his President’s series and his Music Icons series, have recently captured the attention of major collectors in Los Angeles and New York. Tim’s latest body of work is called Urban Distraction. 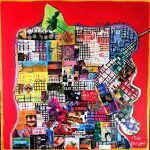 This series combines his love for color, energy, happiness and joy and includes the profusion of the everyday experiences we encounter. His materials are paint and everything he can cut up and assemble on canvas. 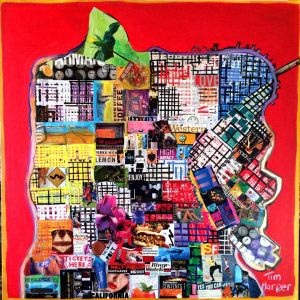 When he is not painting, Tim serves as the Executive Director of Harper for Kids, a charitable organization that he co-founded with his wife, Peanut Louie Harper, a former professional tennis player ranked in the top twenty in the world. Harper for Kids teaches children about the importance of good character and sportsmanship and how to be at their personal best, each and everyday. Their work is based on UCLA Coach, John Wooden’s, Pyramid of Success. Tim is also a devoted father with two kids, a daughter, Casey, and a son, Jared. There are currently no comments for San Francisco Featured Artist: Tim Harper.